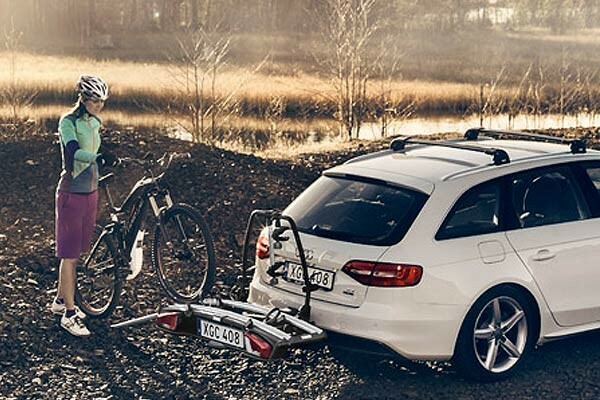 The Thule 972 Hangon is a towball-mounted bike rack for carrying up to three bikes. This simple and easy-to-use rack is tiltable, so you can still access the contents of your car boot while the rack is in situ. 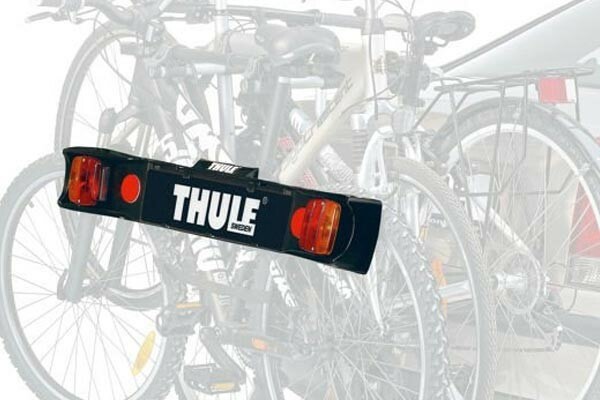 The towball rack folds flat and is easy to detach, so you can even keep it in the boot of your car for when you need it. 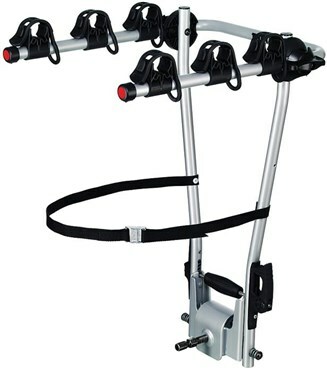 This HangOn bike rack weighs just over seven kilos, but it has a load capacity of 45kg. It will hold up to three bikes with non-standard frames, such as downhill bikes, BMXs and some women's bikes if you purchase the frame adaptor 981 available separately. 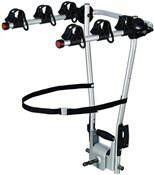 Soft, rubberised frame straps hold the bikes securely and gently in position, preventing any damage during transit.